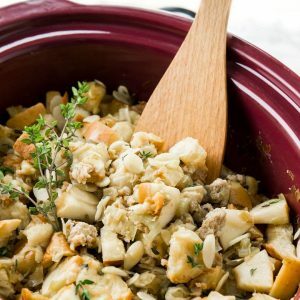 This easy Crockpot Italian Sausage Apple Stuffing with Brioche bread and almonds only takes 15 minutes to prep! 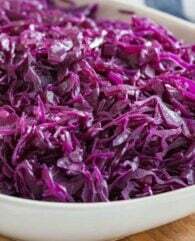 A perfect Thanksgiving side dish! Ok, technically it’s dressing and not stuffing because it’s not stuffed inside the bird but no matter how you call it it’s delicious. The apples and almonds give this easy dish an elegant touch and the Brioche bread adds a little bit of sweetness. Thanksgiving is only one week away! Who is excited? Or are you stressed out because you don’t know what to cook? This Apple and Almond Brioche Stuffing would make a perfect side dish (together with my Cheesy Pumpkin Dinner Rolls and my Gorgonzola Potatoes au Gratin). 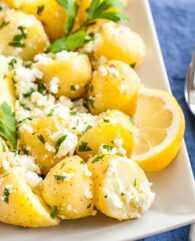 It’s so easy to throw together and the crockpot does all the work for you. Because we all know Thanksgiving is busy! 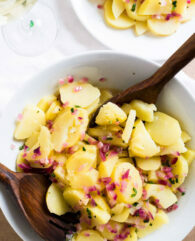 So free up some oven space, roast the breadcrumbs in advance, and try this delicious recipe! For this simple but elegant recipe, I use Brioche bread instead of normal white bread. 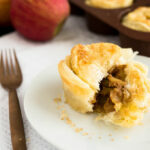 Brioche is a slightly sweet bread that goes great with the flavorful Italian Sausage and the apples. A modern twist on traditional stuffing! Challah bread would also make an excellent choice for this recipe. 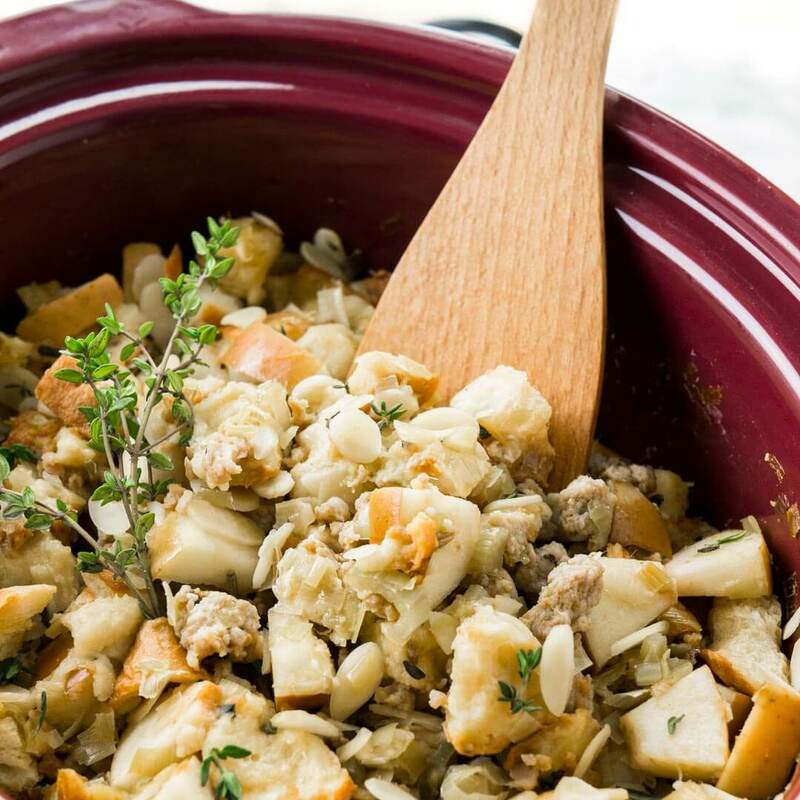 My crockpot makes preparing stuffing so easy! You just need 15 minutes to prep the ingredients. Then add the stuffing into your slow cooker and forget it for 4 hours. 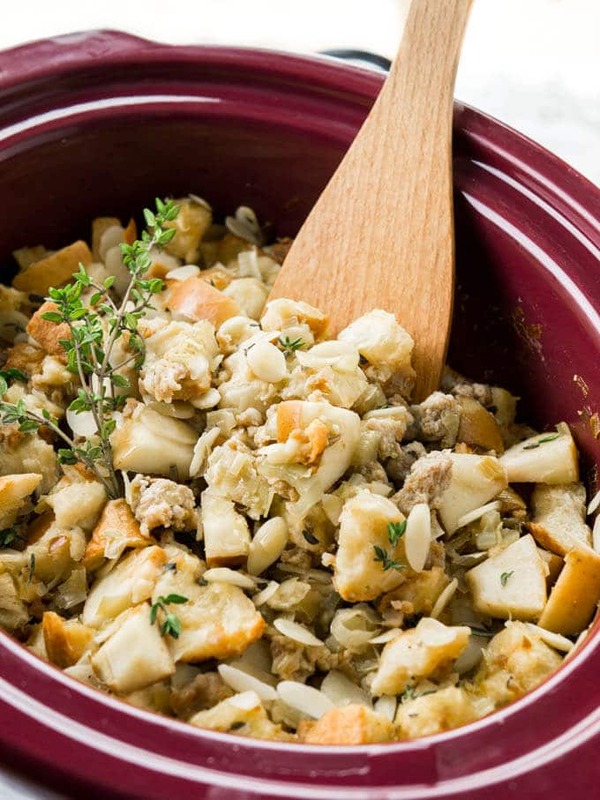 Stuffing (or dressing) made in the crockpot comes out extra moist and tender! I love the texture of stuffing made this way and making things easier when I cook big meals like on Thanksgiving or Christmas is always a good idea in my opinion. The bread needs to be very dry and crispy or it will turn to mush. The easiest way is to dehydrate the bread in the oven one day in advance. Bake in a 300°F oven about 25 minutes until golden and crispy. Let cool and leave uncovered until you’re ready to make the stuffing. with cooking spray or butter before adding the stuffing mixture. 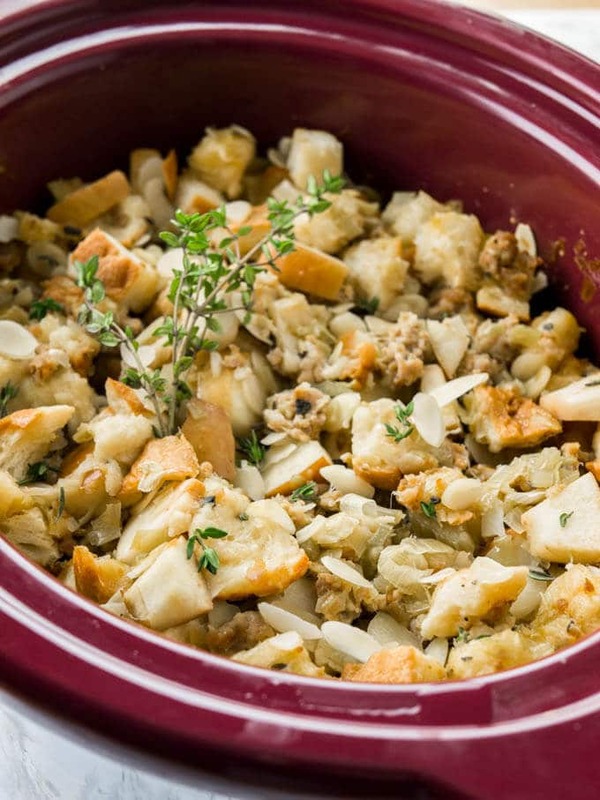 Stuffing made in the crockpot is more like stuffing made inside the turkey. So if you like your stuffing a bit crispy and browned, transfer your removable slow cooker dish to your oven or transfer the mixture to an ovenproof dish and broil for a couple of minutes until nicely browned. 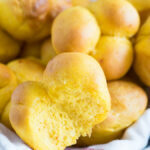 Spread out the Brioche bread cubes on a baking sheet and dry in a 300°F oven, about 20 mins until crisp and golden. Set aside and let cool. 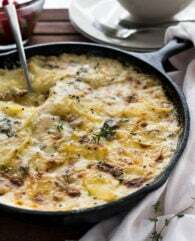 Heat butter in a large skillet over medium-high heat and add leek and celery. Cook while stirring frequently, until tender, about 4 minutes. Add Italian sausage and cook until browned, about 5 minutes. Crumble the sausage as it cooks. Season with salt and pepper, to taste. Remove from heat. 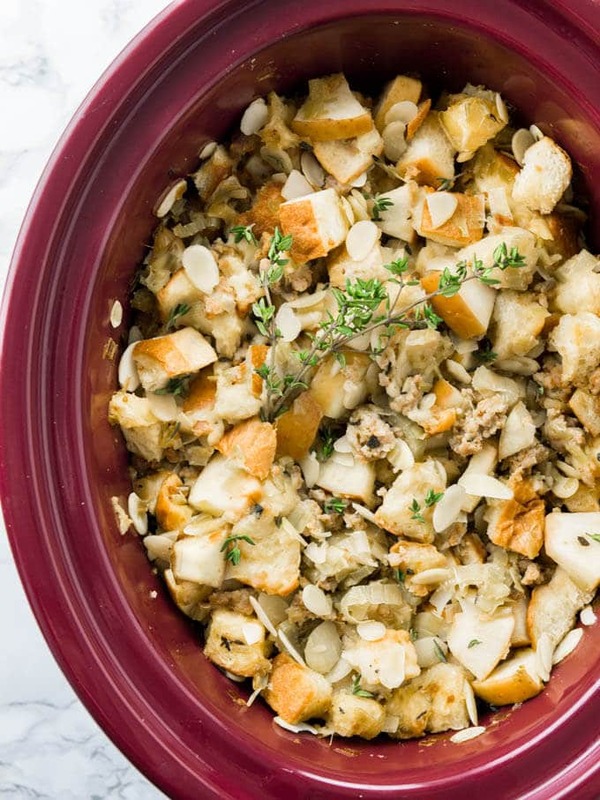 Stir in sage, thyme, apples, almonds, chicken broth, and bread cubes until well combined. Grease your crockpot with cooking spray and pour in mixture. Cover and cook on low heat for 4 hours. 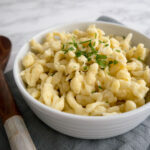 Serve immediately, garnished with thyme, if desired.